Mushrooms are considered by some to be the “meat” of vegetables, and they get a starring role in many different kinds of cuisine, including Chinese, Korean, Indian, European and Japanese fare. Our dehydrated mushrooms add texture and flavor to your favorite dishes, while boosting the nutritional content of your meals as well. Mushrooms are a low-fat, low-calorie source of vitamin D, and they're also rich in B vitamins and essential minerals. Your health, and your taste buds, will thank you when you add our dehydrated mushrooms for sale to your cooking! At Harmony House, we offer three different kinds of dehydrated mushrooms for sale plus freeze-dried mushrooms for all your cooking and baking needs. Each product has its own unique taste and can be used in different ways. Shiitake: These light and delicate mushrooms are a specialty native to Asia.Our dehydrated shiitake mushrooms for sale come diced and ready to add to your favorite stir fry or stuffed vegetables. Sliced Mushrooms: Sliced dehydrated mushrooms are the most common variety of commercially grown mushrooms, and a popular choice for cooking. 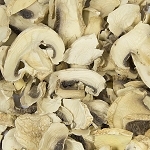 Our sliced dry mushrooms are a wonderful addition to soups and stews and come perfectly sliced. Bits & Pieces: These small pieces are ideal for use in sauces or casseroles. They are the same variety of mushrooms as the sliced mushrooms; the only difference between these dry mushrooms are the size of the pieces. Freeze-Dried Mushrooms: In a hurry? Our freeze dried mushrooms are the way to go! With the same great taste as dehydrated mushrooms, freeze-dried mushrooms rehydrate almost instantly and are a perfect choice for when you have to pull a meal together quickly. Adding dried mushrooms to your pantry means you'll always have mushrooms ready to go for cooking, no matter the season. No more worries about spoiling, either, because dehydrated mushrooms can last for years on the shelf. Our dehydrated mushrooms are all non-GMO, packaged in BPA-free containers, and are guaranteed to be free of all heavy metals and pesticides, making them a natural, safe choice to feed your family. Buy our dried mushrooms for sale year-round. 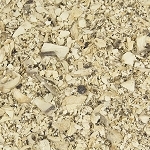 Need help placing your dry mushroom order? Give us a call at 1 (800) 696-1395.